Cars and trucks are built better than in the past, but consumers can still run the risk of getting stuck with a lemon. That's a vehicle with several manufacturing defects that could affect the car's safety, value, or use. YourMechanic, an online car repair site, contacted consumers who purchased lemons to see what it could learn from their experience. It found that two-thirds said their lemon started showing signs of trouble in the first month of ownership. While the risk of purchasing a clunker would seem to be higher in a private sale, the YourMechanic survey found that wasn't the case. Of the consumers who got stuck with a lemon, 44% said they purchased it from a used car dealer and 21% said it came from a new car dealer. Lemons tend to be in a lower price range, but that hardly makes them a bargain. Thirty-six percent of those who bought one said the price of the vehicle was $5,000 or less and 27% spent between $5,000 and $10,000. 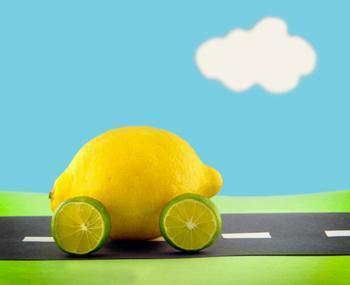 Only 15% of lemon owners said their vehicle cost more than $20,000. The comments section of the survey revealed numerous tales of woe. One owner claimed all the doors fell off the car. Another reported a large oil leak. Other problems included faulty airbags, inaccurate odometer readings, and unreported collision damage. The most common problem was faulty brakes. These problems, the unhappy consumers reported, showed up within a week 36% of the time and within a month 32% of the time. You can save a lot of money and heartache by avoiding the purchase of a lemon. Consumer Reports advises car shoppers to first consider a make and model's reliability record, whether buying new or used. You can easily find that information from sources like Kelley Blue Book and Edmunds.com. If you are purchasing the car from a dealer, pay attention to the window sticker. Dealers are required to reveal whether the vehicle carries any type of warranty or is being sold "as is." If it is the latter, be careful. These days, you can also check out the vehicle's history, obtaining a report from Carfax or Experian Automotive. The report can alert you to previous damage or other issues, although Consumer Reports notes these reports can have gaps here and there. Before buying any used vehicle, it's probably a good idea to obtain an objective, third-party inspection of the vehicle by a qualified mechanic.